This is the best time in the history of home entertainnment. Let that sink in for a minute. There has never been a time in history when you could get so much programming, so much information, and so much technology into your home. The amazing thing is that it’s all just starting. Half a decade ago I probably would have had to explain what cord-cutting is. We weren’t even sure what the right word for it would be. (I favored “cable-cutting” because if you cut a power cord you will hurt yourself.) At the beginning of this decade, every cable company was growing, even the really bad ones. Cut to, we see articles every day about how traditional TV is doomed. Those articles are a little premature, clearly. This isn’t the worst of times. It’s just the opposite. How much of a cord-cutter are you? If you really want to be a cord-cutter in the strict sense, you would get rid of cable TV, satellite, and even internet. You’d get your information the old-fashioned way… from over-the-air television. Maybe you’d pick up a newspaper now and again. If you wanted to record something, you’d do it at home, for free. It’s probably not reasonable to think that anyone is that much of a cord-cutter. Today’s definition of cord-cutting involves firing your cable TV provider and moving to streaming-only. The thought behind it is, you’re going to pay for home internet anyway. That’s just a fact. So, why pay for a traditional home entertainment provider when you can get the same content over the internet? It’s a good question. This sort of cord-cutter is trying to replicate the traditional TV experience using various streaming services. Hulu, CBS, DIRECTV NOW, Sling, all of those offer experiences similar to the live TV experience at a price point that’s lower than cable or satellite. They’re getting better, slowly. Pretty much every cord-replacer type service offers both on-demand and live programming, plus a DVR-like feature or at least some sort of wishlist to keep your programs on. The problem is that cord-replacing services can add up, and it’s hard to keep costs down and still get all the channels you want. There’s a growing group who never watch live TV. Traditional broadcasters are worried about them of course, since if they don’t watch a program within a week, it doesn’t count in the ratings. Folks like this tend toward Netflix, HBO NOW, and other program sources where they can bingewatch. Bingewatching was practically unknown until about five years ago. If you wanted to do something like that before the age of streaming, you still had to get up every hour or so to change a tape or DVD. Today you can stare at the TV so long that most services actually have to ask if you’re still awake. While most forms of TV viewing are communal in some way, bingewatching is very isolating. In one way or another TV has always brought us together. We share experiences and moments and jokes. Bingewatchers separate themselves from society and take in their content without knowing or caring who else is doing it. I’m not saying it’s a bad thing, but it does remove the social aspect from TV. 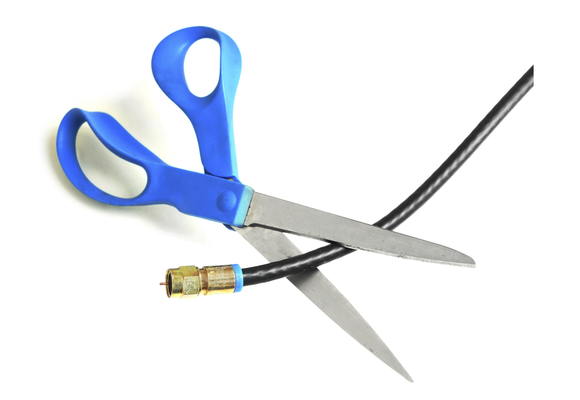 There’s an interesting trend in cord-cutting that really takes things full circle. You’re starting to see services like Pluto and Tubi which offer a very live-TV like experience, for free. How do they do it? Every program has ads and you can’t skip them. The commercial breaks are shorter than they are on traditional TV but they’re still there. Some, like Hulu, offer ad-supported and ad-free tiers. Most don’t. I find this growing segment very interesting because it gets to the heart of cord-cutting, which is saving money. It’s also the type of cord-cutting that’s most similar to traditional antenna TV. You see a lot of the same sorts of content on these apps that you see on subchannels, and that’s a good thing. There’s always something to watch for a person who grew up on live TV. Sure you have commercials but you’re not paying a lot for live TV. That’s the choice we all made 50 years ago and for some, it’s still a good choice. No matter if you’re the kind of person who wants to pay a lot to get a lot or the kind of person who wants to save money, we can help! Solid Signal has all the parts, accessories, and hardware for the perfect cord-cutting experience. If you want to save money, check out our selection of antennas. Remember, free TV is your right! And if you’ve read this far and you’re still happy with cable or satellite, that’s great! Every choice is the right choice in today’s universe of entertainment. Will an antenna made for US television pick up foreign broadcasts?